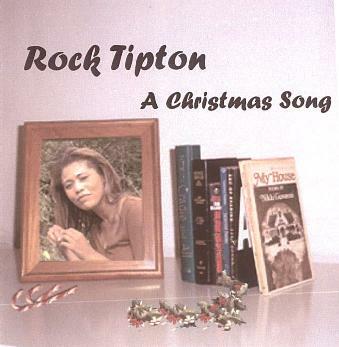 Rock Tipton: A Christmas Song. With these two previously unreleased recordings Rock Tipton can at last be heard by a larger audience to be the extraordinarily gifted vocalist and guitarist that his fans have enjoyed for decades. "A Christmas Song" is a classic vocal jazz arrangement but this is a Christmas song for the 21st Century and for lovers! "There's Never Gonna Be a Better Time" tells of love gone bad with a funky feel. Originally from Pittsburgh, Mr. Tipton has spent most of his career in the Baltimore/Washington area. He has wide experiences including having traveled as musical director and lead guitarist with The Spinners and was the featured subject of a "J Street" column in the Fast Forward Magazine of The Washington Post . He performs here with a combo which includes bassist Mark Easley and pianist Maury Merkin. Purchase your copy at PayPal. Maury Merkin: Ramblings of the morning following a sleepless night. Ramblings of the morning following a sleepless night by songwriter and performer Maury Merkin. It contains Maury's songs and poems in a stunning package which features original illustrations by the remarkable German artist Uwe Bressem. As a bonus, two tracks by guitarist and singer Rock Tipton performing Maury's songs are included. Mr. Merkin, a life-long resident of Washington, DC, and its environs, has been singing, playing the piano and performing other people's material almost as long as he can remember. This, however, is his first recording and every song and poem on it is his own creation. His performance style hearkens back to earlier days but his lyrics work now and the CD has been described as "wistful and bittersweet." There is also a healthy dose of whimsy throughout. Purchase your copy at CD Baby. 18 Have you ever hugged an elephant? Read a review of Ramblings of the morning following a sleepless night . may be purchased on-line at CD Baby. Uncarved RecordingsTM is a new, independent recording label and we are proud to announce at this time the release of our first two CD's. "Uncarved Recordings," "Pet Mouse Music Publishing" and the "butterfly on a log" logo are trademarks of Maury R. Merkin.